If you are new to my blog, I just wanted to mention again that I do offer Ad space on my blog side bar. If you are interested in possibly reserving ad space, please contact me. If you have had ad space in the past and notice your ad is no longer up, it's because it's been a while since I've heard from you. Contact me if you'd like to renew! I have been pretty relaxed in the past about keeping up on the ads, but I am going to try to do a better job at keeping track of it. 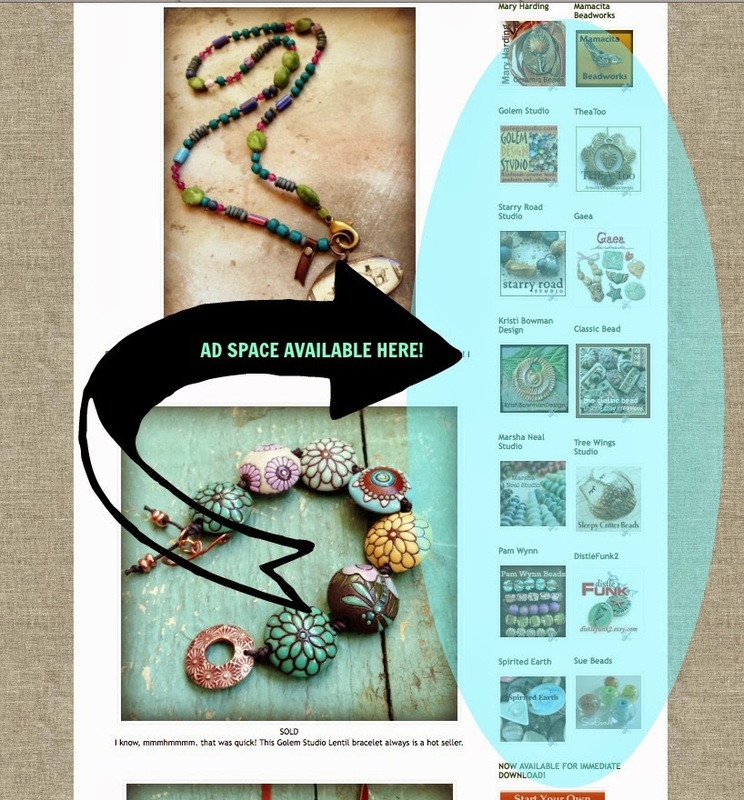 I accept ads for Handmade bead artisans only- which includes any beading or jewelry component that is made by hand by individual artists in their studios, generally made in small batches. Art beads are NOT made in factories or in mass quantities. Ad Space is $30 for 1 month, and $50 for 2 months. I get approximately 20,000 page views per month. You create the ad, which should be 125 x 125 pixels in size. I have been told by ad holders that the traffic they receive from the ad is significant so that is good news! If you are interested or want more information, please let me know.